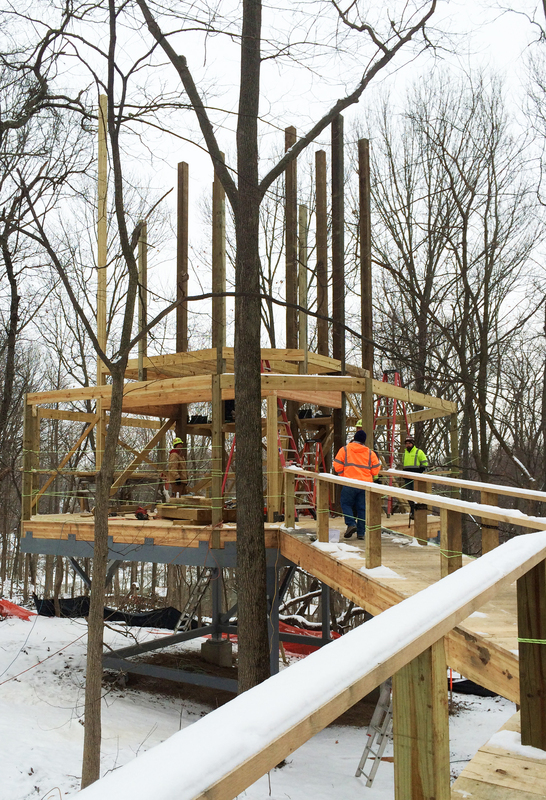 A new four-story treehouse is being constructed as part of a 10,000 SF outdoor nature experience at the Conner Prairie Interactive History Park in Fishers, Indiana. 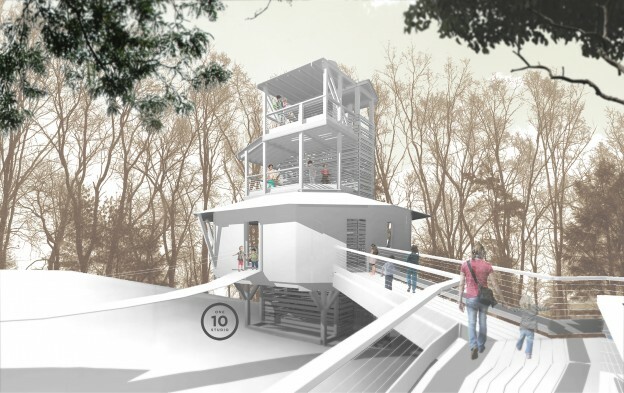 Nestled amongst the area’s existing tree canopy, this towering treehouse will provide multiple observation decks and a main exhibit area for connecting youth with the natural environment. Reaching into the treetops of the site’s surrounding white oaks and sycamores, four platforms offer multiple vistas out to the tree canopies, fields and down the steep hill to the White River. Following the verticality expressed in the nearby foliage, the Treetop Outpost steadily ushers its visitors upward to its highest outlook, 40’ off the forest floor. The viewing platforms are arranged along a cedar-skinned stair tower that serves as the structure’s organizational spine. Use of locally sourced materials creates a comfortable identity that seats the project within its native context. Paramount in the design of the treehouse is connecting youth visitors with nature in a time when society is becoming increasingly disconnected with its natural environment. 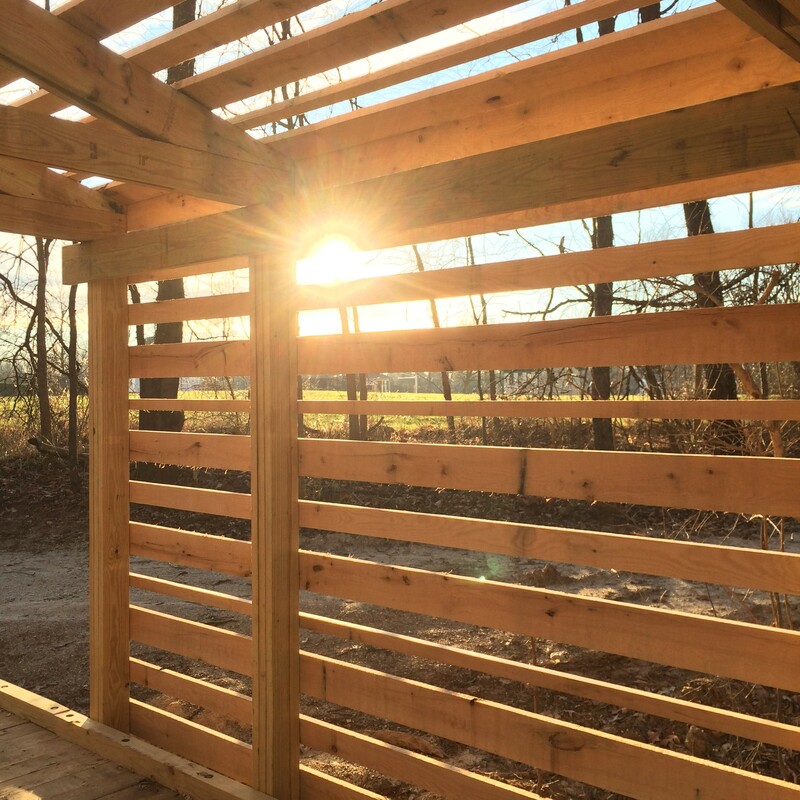 As part of Conner Prairie’s mission to foster meaningful interaction with engaging experiences, the Treetop Outpost offers multiple unique opportunities for all of Conner Prairie’s guests to pursue knowledge in new and fun ways. As the architecture firm responsible for the ultimate realization of the project, One 10 Studio was thrilled to be a part of such a unique and distinctive project. Uniting our collaborative studio culture with Conner Prairie facilitated a strong design relationship, which was able to continuously refocus our design to a strong fixated concept. Engaging in challenging design opportunities with concentrated purpose and a refined concept allows our firm to strive for success in each of our projects. 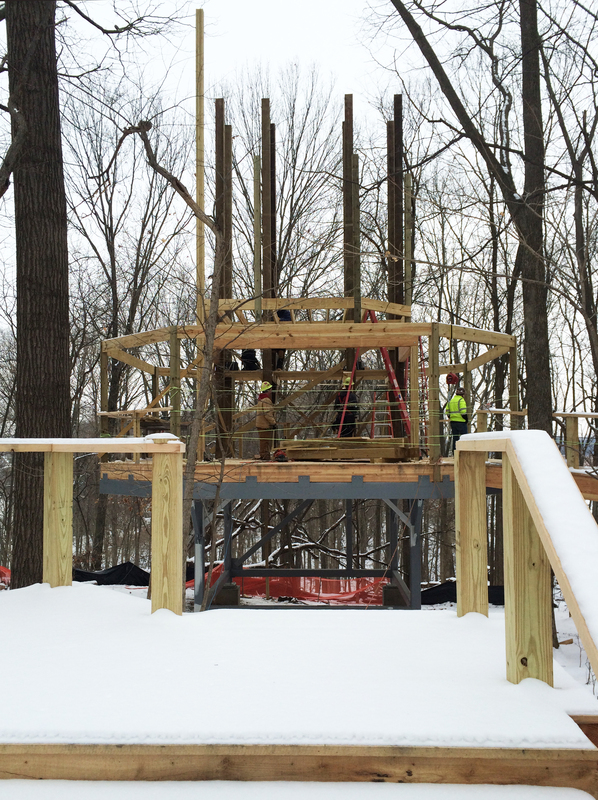 The Treetop Outpost is expected to open July 2016.